The function of a backflow prevention device is to keep dirty water from pools, storm drains and other external water sources from flowing backward into clean, uncontaminated water or into your business. It also keeps any water from cross-connecting with the drinking water in your business. 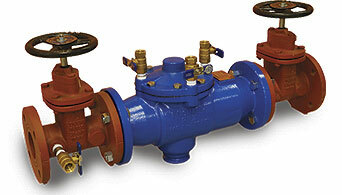 To prevent backflow, most water districts are required to have a backflow prevention program and plan in place, along with backflow prevention devices, where necessary according to local plumbing and building codes. Most cities and counties in the United States require yearly testing of each water district by a certified backflow testing agency. These tests are critical to clean drinking water.